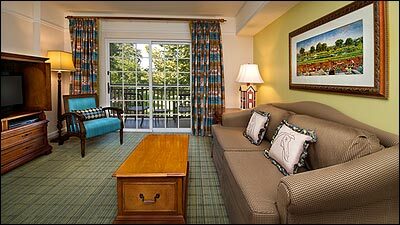 Saratoga Springs Resort & Spa recreates the upstate New York country retreats of the late 1800's. Featuring babbling brooks, themed pools, dark wood, antique-style furniture and Victorian-era architecture, fabrics and colors. 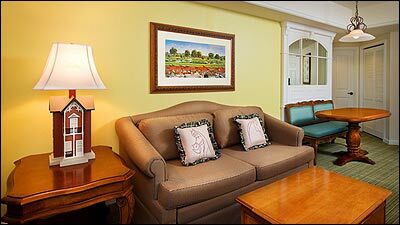 The theme here is horse racing, and nods to this equine sport can be found throughout the resort. 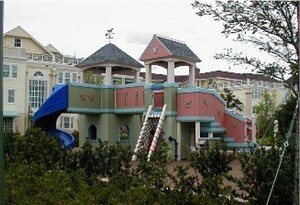 Guests check in at the Carriage House, the resort's main building. The main pool and restaurants are located nearby. 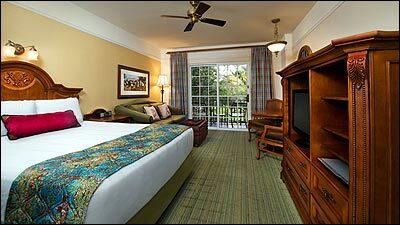 Saratoga Springs Resort & Spa is the largest Disney Vacation Club resort on property at nearly 65 acres. 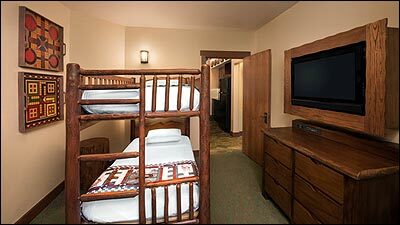 There are 184 new units, 60 Treehouse Villas and approximately 300 remodeled apartment-style rooms in older buildings that were part of The Disney Institute. 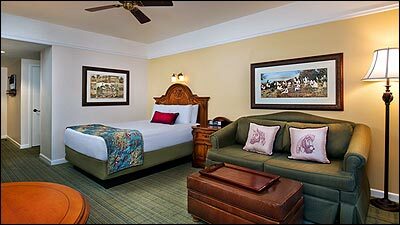 Studios, one- and two-bedroom villas and three bedroom Grand Villas are available to accommodate guests. The resort includes 5 pools (two feature pools and three smaller quiet pools), several spas, playgrounds, BBQ areas, a full service restaurant, quick service location, three bars, a fitness center, arcade, a full service spa, and numerous other recreational activities. 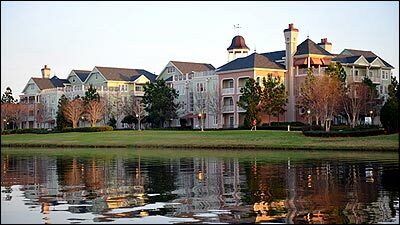 Saratoga Springs is located across the water from Disney Springs. Guests can reach Disney Springs via boats, buses, or a walkway. 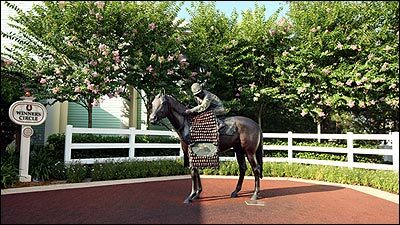 Dine in this intimate venue decorated with dark woods and horse racing memorabilia. This restaurant offers indoor or patio dining. Open for dinner. Relax and shoot some pool in this lounge adjacent to the Turf Club restaurant. Beer, wine, and specialty cocktails as well as appetizers are available here. This quick serve location offers breakfast, lunch, and dinner. Groceries can also be found here. Sandwiches, burgers, flatbreads, and kids meals are on the menu here. A variety of traditional breakfast favorites, including Mickey waffles, can be found every morning. 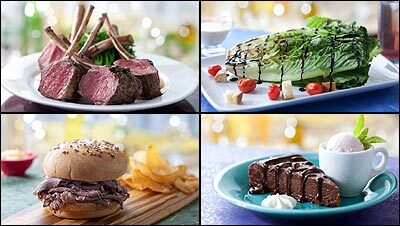 Gourmet sandwiches, salads, burgers, and housemade potato chips. Breakfast is served until 11:00AM. Beer, wine, specialty cocktails, hot pretzels, sandwiches, and soft drinks are available at this poolside bar. 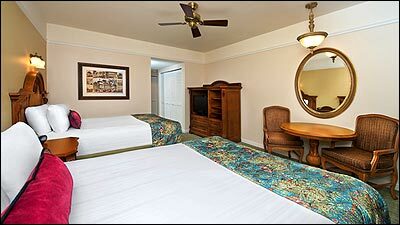 In room pizza delivery is available from 4:00PM-12:00AM. A menu will be found in your room. Swimming: This resort features a total of 5 pools. The two feature pools are located near the Carriage House and in the Paddock area. 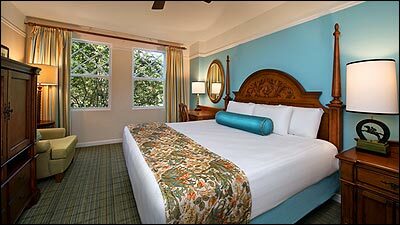 There are smaller, quiet pools, each with a spa, located at the Grandstand, Congress Park, and Treehouse Villas areas. Towels are available at all pools. The High Rock Spring Pool features a zero depth entry, waterfalls, and a 128 foot waterslide built into rocks. 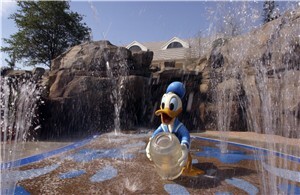 There are 2 whirlpool spas and a kid's splash area featuring Donald Duck. The Paddock Pool features a zero depth entry and a 146 foot long water slide that emerges from a water tower. A horseshoe shaped spa is nearby. Also, there is a large kid's play area with waterslides and dump buckets nearby. Playgrounds: Kids can horse around on 3 exciting playgrounds—one wet, 2 dry! Have a blast with water cannons near The Grandstand Pool or climb and slide at the dry playgrounds near The Paddock and Congress Park Pools. Community Hall: Located near Horsing Around Rentals. Relax and unwind in a fun-filled space designed for the entire family. 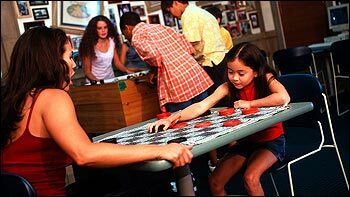 Play games like foosball, air hockey, pool, ping pong, darts and more! Guests may also make crafts, relax in our TV viewing areas, rent DVDs, join our “rainy day” activities and check out books. 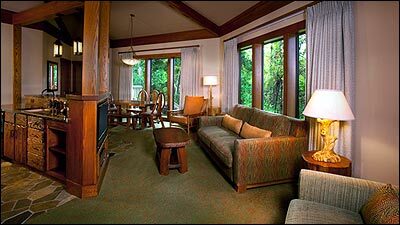 Amenities and activities are available to current Guests of the Resort where the Community Hall is located. Most are complimentary, while some are available for a fee. Game and activity selection varies between Community Halls. Games: Win, Place, or Show Arcade is located near the High Rock Spring pool. Fitness: A 24 hour fitness center is located inside the Senses Spa. 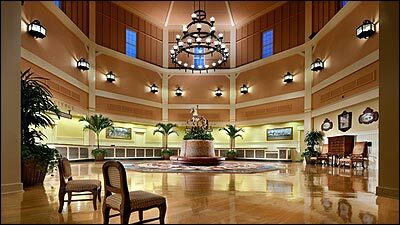 Access to the fitness center is complimentary for resort guests. The fitness center features Life Fitness cardio machines and Hammer Strength equipment. Senses Spa: A full service spa featuring a vast menu of spa services, including massages, facials, body wraps, manicures, and pedicures. Click the link below to visit the offical page for the Senses Spa, view a treatment menu with prices, and make a reservation. Sports Courts: Tennis and basketball courts are located across the street from the Carriage House. Bicycle Rentals: Horsing Around rentals offers bicycle and surrey bike rentals. Jogging and Walking paths: There are two jogging loops around the resort. One is 1.44 miles, the other is 0.8 miles long. Maps can be acquired at the front desk. There is a walking path to Disney Springs. Fishing: Guided fishing excursions are available. Shopping: The Artist's Palette stocks a selection of souvenirs, sundries, and groceries. Bus: Bus transportation is available to all 4 Theme Parks, Water parks, and Disney Springs. Boats: Boats travel to Disney Springs from the boat dock located near the Carriage House. Check in time is 4:00 PM. Check out time is 11:00 AM. 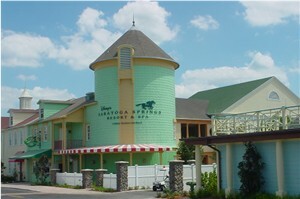 Saratoga Springs villas are located in several buildings around the resort. 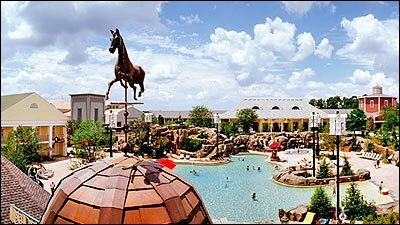 The resort is divided into five "areas": The Springs, The Paddock, Congress Park, The Carousel, and The Grandstand. The areas closest to the main building are The Springs and Congress Park. Views vary, and can be of parking lots, green belts, a pool, or a waterway. 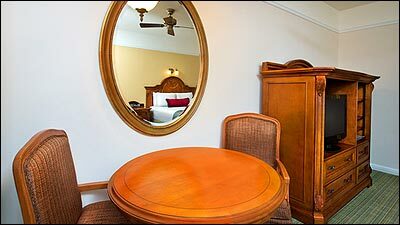 Specific room views can be requested, but not guaranteed. An internal shuttle is available at this resort. 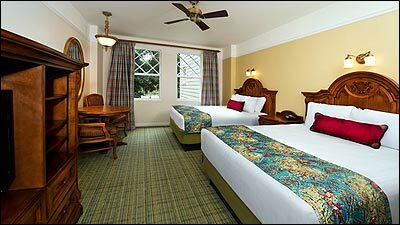 The Studio comes equipped with one queen size bed and a double sleeper sofa. 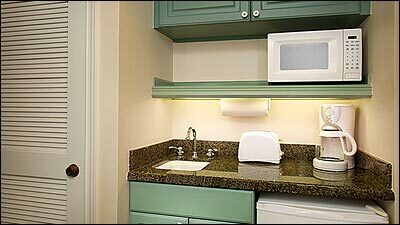 It accommodates four adults, plus one child under 3. 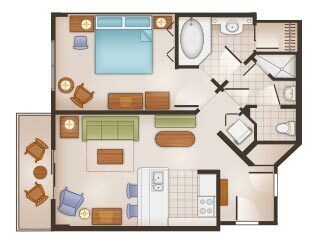 It includes a kitchenette with microwave, mini-refrigerator, wet bar and coffee maker, TV and a private porch or balcony. 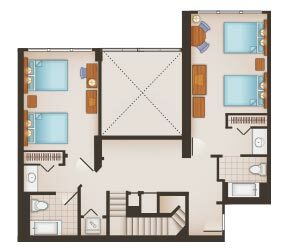 The One Bedroom Villas have a Master suite with king-size bed. 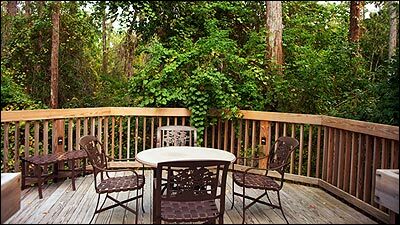 It also feature a living room with a queen-size sleeper sofa, fully-equipped kitchenette, dining area and a private porch or balcony. The villa accommodates four adults, plus one child under 3. Ceiling fans in the living room and bedroom, stack-style washer and dryer, color TV/DVD, cable and an additional color TV in the bedroom. 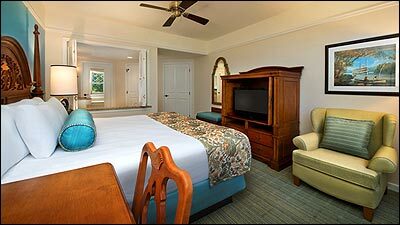 The Two-Bedroom Villas have an additional bedroom with a private bath, one queen size bed, and a double sleeper sofa. 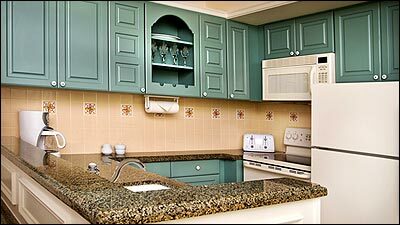 The larger villas accommodate eight adults, plus one child under 3. 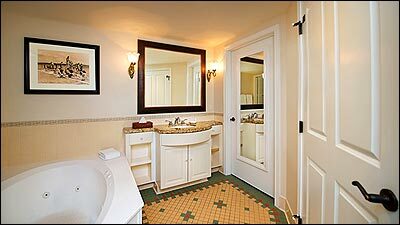 The Master suite has a king size bed and private bath with a whirlpool tub. 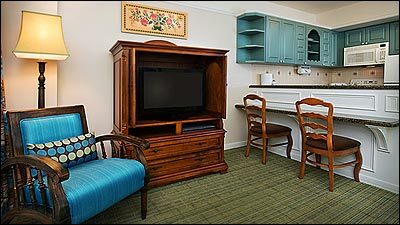 There is a fully-equipped kitchenette, dining area, ceiling fans in living room, stack-style washer and dryer, microwave, wet bar, cable, color TV with DVD player in the living room and color TV in each bedroom, queen-size sleeper sofa in the living room and a private balcony or porch. 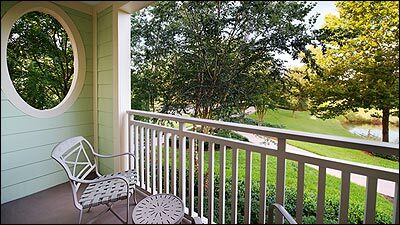 The Grand Villas are the most luxurious vacation homes at Saratoga Springs. 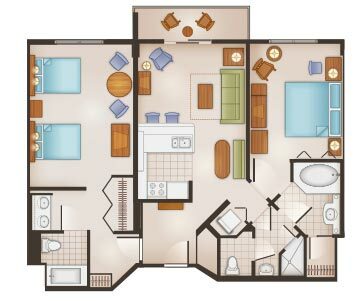 Each Grand Villa includes a Master suite with king-size bed and whirlpool tub, Two additional bedrooms, each with two queen-size beds and private bath. 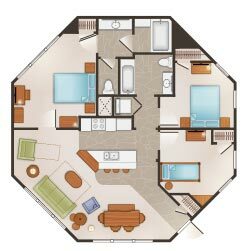 Consisting of two stories, the first floor contains a Master Bedroom Suite, a living room, a fully equipped kitchen with a dishwasher and microwave oven, a separate dining room, a full-size washer and dryer in a laundry room, a powder room and a private patio. 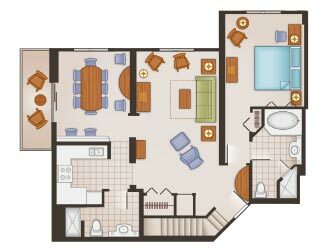 The second floor contains two bedrooms, each has a private bathroom and color televisions. The Grand Villas sleep a total of twelve people. 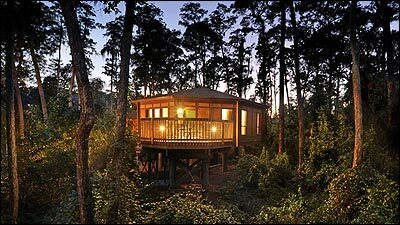 60 three-bedroom vacation homes, elevated 10 feet off the ground on pedestals and beams designed to blend into the forest environment, sleep nine and offer modern luxuries such as partial cathedral ceilings, a barbecue grill and flat-panel TVs, all presented in a style dubbed “cabin casual. These villas sleep up to nine guests. 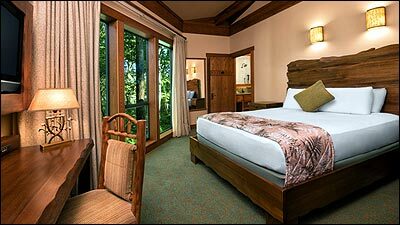 Treehouse Villas at Disney’s Saratoga Springs Resort & Spa features its own planned pool area, in addition to sharing all that the main resort has to offer, including boat transportation between the Disney Springs area and the Disney’s Saratoga Springs Resort & Spa dock, tennis courts, bicycle rental, a children’s playground, Surf's Up restaurant, a nearby spa and fitness center, and High Rock Spring Pool, which boasts its own water slide and whirlpool spa.